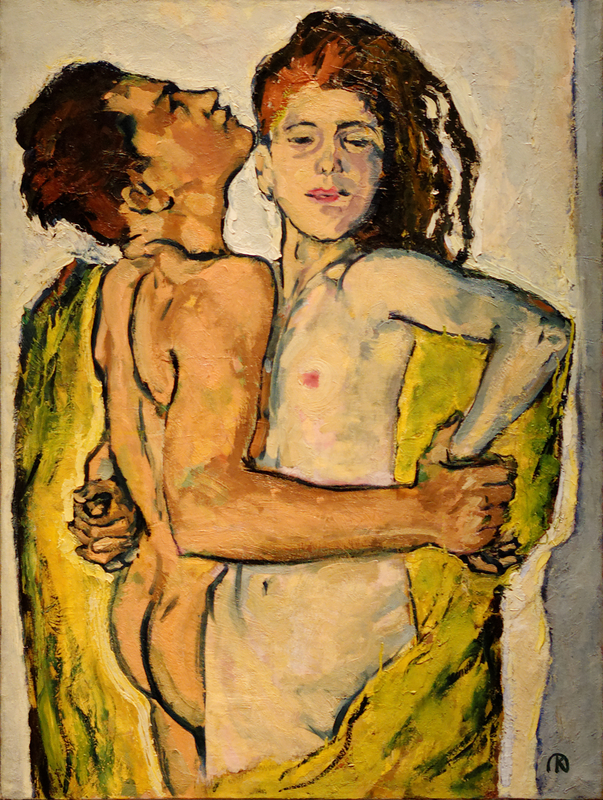 Koloman Moser, “The Lovers,” c. 1913. A woman lived in a thick forest, alone but for the trees and animals. The lush flora and a clear spring provided well for her, so she felt safe and content in her home. Most important to her was the fine, dense clay that formed alongside her stream, from which she created likenesses of everything in her life. The woman populated her small world with carefully sculpted creations, and she was never lonely because she had the whole world within her. In the modern, Judeo-Christian Western world, dreams are not considered to be of particular importance. While children are often concerned with nightmares, in general dreams are disregarded as some sort of random brain activity that is a side effect of sleeping. Historically, dreams have had a more prominent place life and decisions making (including the West: both the Catholic Church and Judaism included prominent mystics) and many people and religions have had the view that the dream world is no less real than the waking world. Through dreams people could access knowledge about their lives that would not be available to them while awake. Inhabitants of the dream world or spirit world are not merely reflections of your own mind (as would be suggested by Freud) but beings from another realm that are out of your control. As such, the dream world can be a dangerous place. Reactions to this danger vary in different cultures and time periods: some people feel that while dangerous, it is necessary to enter the other domain to better understand your own existence, while others believe it is possible to go “too far,” and be consumed by this alternate reality. This other world is not only accessible by dreaming, but also through taking various hallucinogenics that prompt a dream-like state, which is desirable for those who believe they can benefit from contact with the dream figures or spirits that inhabit the other world. Just taking the opportunity to discuss word-play so amazing I will spend every day wishing I could come up with something half as wonderful. Sometimes a girl just has to geek out over brilliant language. My people believe that the sinkhole in the center of the forest is sacred, that we first came out of the water there. Before that, we lived in sparkling underwater cities. One day, some girls found the tunnel that leads to the sinkhole, and became obsessed with exploring the green land that lay beyond the water’s edge. They began to prepare themselves to go out into the world, making themselves strong. We believe that they were the first to step foot on land. Arthur Rackham, illustration for “The Three Little Men in the Wood,” from “Little Brother and Little Sister and Other Tales,” by the Brothers Grimm, 1917. 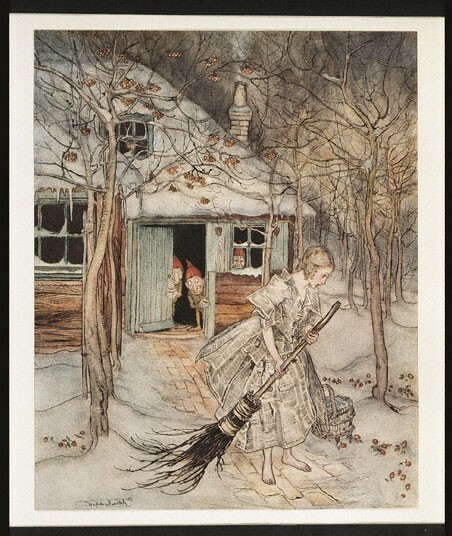 In honor of Giving Tuesday, I thought about fairy tales that reinforce generosity. One of the roles folklore plays is to teach morals that are valued, and not surprisingly, generosity and kindness are some of the most common to be emphasized. In order to dress up selflessness, tales often connect inner and outer beauty. This is especially stressed in the female characters. For these women, beauty was not so much a reward as it was the natural result of a kind spirit; it is the apex of the idea that a good person will appear more beautiful and attractive to others. Then, as now, society considered it important for woman to be beautiful and virtuous, more so than for a man to be the same. That being said, I encourage everyone to apply the lessons taught by these stories when thinking about Giving Tuesday! Good acts show up on your face the same way good food shows up on your waist! I accept any excuse to use this image. 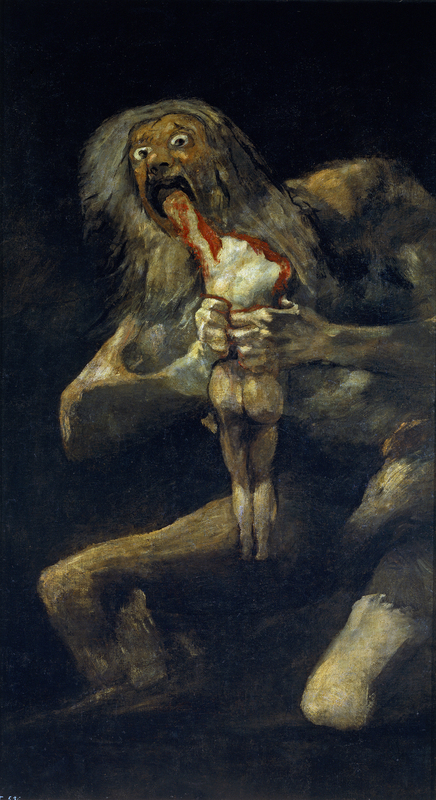 Francisco Goya, “Saturn Devouring His Son.” 1819-1823. You can read a full version of The Wendigo here. Algernon Blackwood’s The Wendigo is one of the best known “ghost stories.” Chances are, if you’ve read any of the widely produced ghost story compilations, you’re familiar with a version of his tale (I know I remember reading it as a child, although without the weird racist bits). A wendigo is a creature from Native American folklore, appearing in the stories of many northern tribes, and the name comes from the Ojibwe. Wendigos attack isolated people; one origin story suggests that humans who resort to cannibalism become wendigos. The classic Blackwood tale is not particularly concerned with this mythology. Instead it focuses on the atmosphere of the wendigo story: the vast forests of North America and the allure and horror of isolation in the wilderness. 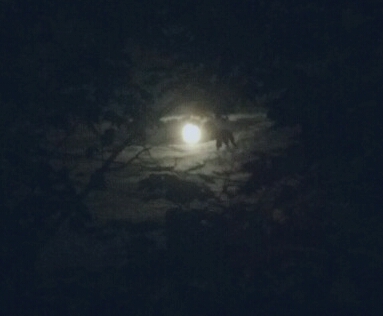 I’m excited to begin my folklore blog, These Strange Woods. “Folklore” can encompass many popular types of storytelling: mythology, fables, fairy tales, epic poetry, legend…the list goes on and on with more specific words used to describe the cultural storytelling traditions of particular groups of people. These stories are our most enduring, transcending time and geography by circulating wherever their people are. They stay with us, and we retell them over and over again, more or less faithfully. Folklore represents the formula for stories everywhere: a character (or characters) is propelled into action, which is resolved by the end. The characters are basic types and the story is nearly all action with little description. The archetypal nature of folklore allows it to transcend its creators and become popular in cultures very different from the one where it began. The fundamental, primal aspect of folklore has always appealed to me as a way to access and understand different cultures. I’m looking forward to digging in to some of the stories I already love and exploring new tales as well. I’m also interested in the interaction of folklore with visual and performing art. In addition to non-fiction, I’ll also be posting my own personal folklore creations. I approach my stories with the trials of the modern hero’s journey in mind, inspired by the traditions of some of my favorite cultures and their folk characters. There are almost endless ways to interact with folklore, and I hope that together we can explore many of them. I am open to submissions, so if you have an idea of something you would like to contribute, please send me an email at thesestrangewoods@gmail.com. I welcome original fiction, personal essays, research, and art! © Katie Sharrard and These Strange Woods, 2015. Unauthorized use and/or duplication of this material without express and written permission from this blog’s author and/or owner is strictly prohibited. Excerpts and links may be used, provided that full and clear credit is given to Katie Sharrard and These Strange Woods with appropriate and specific direction to the original content.